Reach out to the fast growing Muslim millennial and family travelers. Running an effective campaign on HalalTrip is a unique opportunity to reach this fast growing market. Through our creative digital marketing campaigns, we showcase your brand's unique experiences to our users. Contact Us now to discuss how our marketing experts can help your destination or brand. When Fazal founded Crescentrating in 2008, his vision was also to build a Trip Advisor like travel platform for Muslim travelers. Then in 2010 HalalTrip was founded by Kareem as a Muslim hotel review site. In 2013, Crescentrating acquired HalalTrip. Through HalalTrip, we strive to make place discovery and trip planning fun and intuitive with our growing library of travel tips and video reviews. We want to bring together the global community by encouraging them to share and review Mosques, Halal Restaurants, Halal food dishes, Attractions and travel ideas. It also includes essential tools such as Qibla direction finder, Prayer times and In-flight prayer calculator. "Halal Trip is an app that helps Muslims traveling to new cities to find mosques and halal restaurants...Halal Trip has plenty of specific features for Muslim users, including an interactive map." "To this end, Halaltrip.com is worth a look. It shares similarities with Tripadvisor.com, but it specifically targets Muslims. Hotels are rated on their quality and service, but they also receive a rating on other features, such as whether they are located near mosques or halal restaurants." "لأول مرة.. تطبيق إلكتروني يتيح لصاحبه "السياحة الحلال" بتحديد مواقع المطاعم والمساجد عالميا"
For the first time an App allows the users to identify the locations of restaurants and mosques globally. Was also included as one of the most important applications that Arab travelers can benefit. Halal Trip: يستخدم السياح المسلمون هذا التطبيق لمعرفة المطاعم القريبة منهم في رحلاتهم السياحية والتي تقدم اللحوم التي تُذبح على الطريقة الإسلامية، كما يمكن للمستخدم إضافة مطاعم جديدة لمساعدة السياح الآخرين. 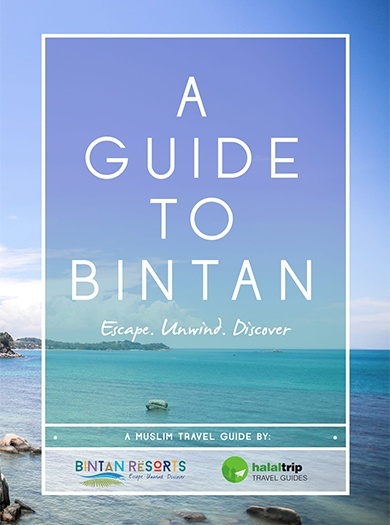 "HalalTrip, an in-depth information guide and resource for destinations across the world." “For those who like to eat out for breaking of fast and look for new culinary places, you can try Halaltrip app to find recommended places which are guaranteed Halal. In addition to finding the nearest restaurant, you can also add your favourite places here." "Halal Trip, an online travel website specializing in halal and family-friendly travel, has allowed its mobile app to give Muslim travelers a simple way to find prayer times and locations whether on air, land or sea. " "The new feature instantly calculates the prayer times for the current location, the distances for nearby mosques and the time it will take to reach them." "HalalTrip.com, which is like a TripAdvisor for Muslims, with city guides, reviews, dining passes and more." "HalalTrip.com, has popped up to offer Muslim consumers everything from halal restaurants to a booking service for Muslim-friendly hotels, and a prayer guide that calculates the correct time for those in transit to pray according to their flight path." We have worked with government agencies, destination marketing organizations/agencies, travel & tourism service. "We embrace diversity - Our Team"
Visit our career page to find out how you can become part of our growing team. Connect with the world's fastest growing audience of Muslim Millennial travellers and influencers. We create unique and engaging content & experiences for destinations and businesses looking to connect with them. Contact Us to discuss how we could partner. As the world's leading Muslim/Halal travel online platform, HalalTrip provides expert comments and advice for media. Contact Us to arrange interviews with our team of Muslim Travel market experts.